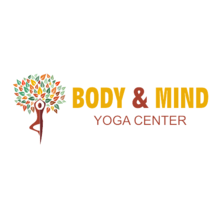 Body & Mind Yoga Center combines the essence of different Yoga systems like Ashtanga, Vinyasa, and Hatha in a simplistic approach. The center was started by Mrs. Raakhee Sharma, a professional yoga instructor, with a vision to contribute towards creating a healthy, happy, and stress-free society. Body & Mind Yoga Center provides certified yoga and fitness trainers who can guide you according to your requirements and needs.